TEi YIMPACT provides tube plugging, tube expansion, tube-to-tube sheet welding for heat exchanger users and manufacturers, and debris removal from industrial plant by the use of controlled explosive charges. Over the last 30 years heat exchangers have been subject to increasingly stressful conditions – operating under higher temperatures and pressures and consequently requiring tighter leak security. Such conditions have highlighted problems with the fusion welding of tube-to-tubeplate joints. In high pressure applications, tube joint leaks can lead to the scrapping of the unit long before its estimated life span. Fusion welding determines the materials that can be used, materials which are often not the most suitable for the operating conditions. YIMPACT explosive welding produces a high velocity movement from a controlled axial detonation. This ensures a leak proof method of jointing which is able to withstand the higher temperatures and greater working pressures of modern heat exchangers. A controlled explosion creates an inter-facial pressure which melts the two surfaces about to be welded and forces them together. At the interface the collision front is projected forward ejecting the molten metal, and the exposed surfaces form a metallurgical bond similar to a pressure weld, irrespective of the materials being used. Creates a high integrity joint of a strength equal to at least that of the parent materials, and capable of the most arduous working stresses. Guaranteed for the life of the tube. TEi YIMPACT provides tube plugging, tube expansion, tube-to-tubesheet welding for heat exchanger users and manufacturers and debris removal from industrial plant by the use of controlled explosive charges. Fusion welded or mechanically fitted plugs have been used in the past for effecting repairs to leaking heat exchanger tubes and/or joints. Welding a plug into a feedwater heater on-site is, however, an extremely difficult job. Working conditions are normally very poor, and in a plant breakdown situation, conditions can rarely be improved sufficiently to allow the weld preparation and the weld process itself to be carried out with the degree of precision required for the task. Also in recent years the use of high pressure/temperature exchangers has revealed shortcomings in those traditional methods of repair. YIMPACT explosively welded plugs provide an economical and highly reliable method of overcoming these problems. Since 1971 thousands of YIMPACT plugs have been fitted, particularly in high pressure feed water heaters used in conjunction with turbine generators. These plugs have proved 100% effective. The tube bore or tubeplate hole requires little preparation. No special machining of the hole is required. It is only necessary to remove surface oxides and scale from the weld area. A YIMPACT plug containing an explosive charge is inserted into the prepared tube / tubeplate hole and the charge initiated to produce an explosive weld between the plug and the tube / tubeplate. Explosive welding achieves a true metallurgical bond. The quality and reproducibility of the weld is assured because the correct geometry is designed into each plug and the optimum explosive charge is pre-engineered to match. The weld is therefore not dependent on operator technique. Leak tightness can be confirmed on-site by hydraulic or pneumatic tests. During hydraulic testing plugs have been subjected to an external pressure of 10,000 p.s.i. and an internal pressure of 35,000 p.s.i. Additionally, during thermal cycling testing, plugs / tubesheets have been heated to 700°C (1325°F) and then plunged into cold water, the operation being repeated 10 times. Despite the extreme thermal shock applied to the joints, they remained tight, even after an external hydraulic pressure test of 10,000 p.s.i. The YIMPACT service is available on or off-site to fit in with planned maintenance schedules or as an emergency response. Wherever heat exchanger working conditions are such that mechanical tube-to-tubeplate joints provide plant integrity then, almost invariably, such joints have been produced using roller expansion techniques. However, despite the extensive use of roller expansion methods and their undoubted suitability for very many applications they do possess some inherent limitations and disadvantages. YIMPACT explosive expansion provides an effective alternative to the fabrication of high integrity mechanical tube / tubesheet joints for many heat exchanger designs and tube / tubesheet problems. Multiple detonations of pre-engineered explosive charges, designed for specific tube / tubesheet material and size combinations enable tubes to be rapidly and securely mechanically fixed and sealed into tubesheet holes. The process offers significant cost savings and other advantages over other mechanical tube / tubesheet jointing systems. The controlled detonation of specific and precisely positioned explosive charges generates high pressures in the bores of the tubes resulting in the almost instantaneous expansion of the appropriate sections. 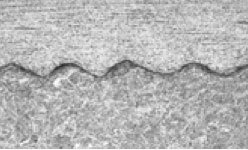 The outside of the expanded lengths of tube are ‘coined’ or pressed into the tubesheet holes – resulting in a high integrity bond regardless of tubesheet hole ovality or surface finish. No practical limitations exist on the length of expansion that can be produced by one detonation – multiple / stepped roller expansion can often be avoided with consequential, much reduced joint production times and costs. A number of explosive expansion charges can be detonated in one ‘shot’ – significantly reducing production times / costs. Restricted access is often much less of a limitation than with other mechanical tube / tubesheet fixing methods. Tube wall thinning, work hardening and lengthening of the explosively expanded sections of tubes are normally negligible. Satisfactory joints can often be produced in tubesheet holes where ovality and surface finish would preclude the use of alternative mechanical jointing systems. YIMPACT explosive expansion can be carried out ‘on site’ or ‘ in works’ – either as a primary system for jointing or as a secondary system ‘behind’ front face fusion welding / YIMPACT explosive welding. The process has also been successful when fitting inlet end ferrules and tube end replacement sleeves and in re-expanding leaking tube / tubesheet joints. TEi YIMPACT provides tube plugging, tube expansion, tube-to-tube sheet welding for many heat exchanger and industrial plants.